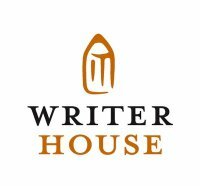 Thanks to WriterHouse for hosting the Literary Journals Demystified panel yesterday. I was there on behalf of Prime Number Magazine and joined two editors from Meridian: Editor-in-Chief Hannah Holtzman and Fiction Editor Lee Johnson. The panel was moderated by Sarah Collins Honenberger. I’ve been to lots of these panels as an audience member, and they are frequently repetitive, but I really think with the help of the moderator we maybe dug a little deeper than is usually the case. We each talked about what we’re looking for, what we’re not looking for, and so on. One thing we didn’t get a chance to talk about is mistakes that we frequently see in submissions, so I thought I’d mention a little about that here. Put your name on the manuscript. We don’t read blind and I want to make sure I’m looking at the manuscript I’m supposed to be looking at. It’s also useful to me, since I’m reading on a computer screen, if the wordcount is shown on the first page. Double space the manuscript (for prose). I frequently get submissions that are single spaced, and it’s not easy to read. If it’s a very short flash piece, that may not be an issue. But don’t send me a 4,000 word story unless it’s double spaced. I’ll read the beginning of it to see if it’s excellent, but I may not read further than that. Typos. I know that typos happen, but the more there are in a manuscript the more unimpressed I am. That’s partly a function of time–I’m the one who will have to fix those typos if we accept the story, and the more there are the bigger a pain the editing process is going to be. Again, this isn’t fatal for a submission, but the little things do add up. Usage mistakes. Writing is about language. Writers should know the language. We can manipulate grammar for effect, as long as the effect is apparent to a savvy reader, but usage is something we usually shouldn’t mess with. “Alright” isn’t standard; use “all right” instead–because I’ll have to change it if we accept the story. Learn how to use commas, hyphens, and dashes. Learn the difference between “to lie” and “to lay”. There are lots of style guides out there, but one essential guide is Strunk & White . Get it. Use it. Cover letters. Keep them short. Don’t explain the story you’re submitting. Do provide a brief bio as long as the information is relevant. Follow the guidelines. Ours are pretty simple. For fiction we have two submission buckets: flash, or stories under 1,000 words, and short stories, for stories between 1,000 and 4,000 words. Please submit the very short stuff in the flash bucket because sometimes I’m specifically culling the submission “pile” for short pieces. If yours is buried under the short stories, I may not find it until I’m reading the stories. Also, we ask that if you’re submitting multiple pieces at one time–we’ll take up to 3 flashes–put them in a single document or submission, rather than making 3 separate submissions. Responding to you 3 times instead of once takes time. >Thanks for the typo/usage shout-out. I've been ranting all semester to (grad!) students who don't know how to use commas, and this is very helpful in my cause. >I think it's a message that students don't hear, no matter how many times it's said. Grad students especially think they know what they're doing. Honestly, I wasn't as big a stickler until I started teaching Freshman comp, at which point I taught myself grammar all over again so I could explain it to Freshmen. That was the best investment of time ever.